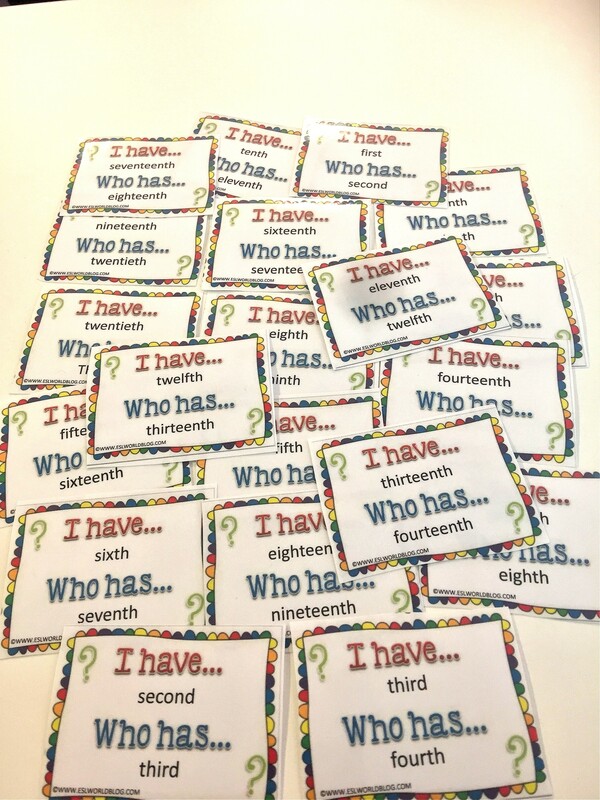 Do you need some fun activities to help your adult ESL students learn their ordinal numbers? Read on to find out how you can involve even the most quiet students to get involved and participate! I would start by writing the date on the board and then asking the students if I can say that it’s the 5 as in ‘five’ of August? Then they’ll say no but they won’t be sure how to say it – so I’ll begin by saying that with dates and orders we use ordinal numbers. I write the ordinal numbers on the board side by side (e.g: 1st — first) and then we drill them orally. This will usually get the students more familiar with pronouncing their numbers, especially the ‘th’ at the end which a lot of ESL students find difficult to pronounce. 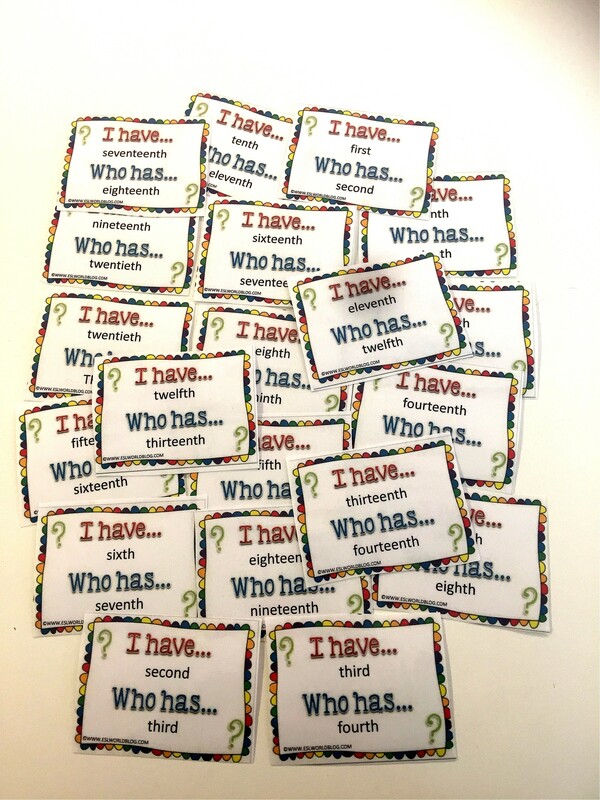 TO help ESL students understand the ordinal numbers further, I made these FUN I have, who Has? Ordinal number cards 1-20. Each student will read their number and then stand up call out who has the next number. So much FUN for them!